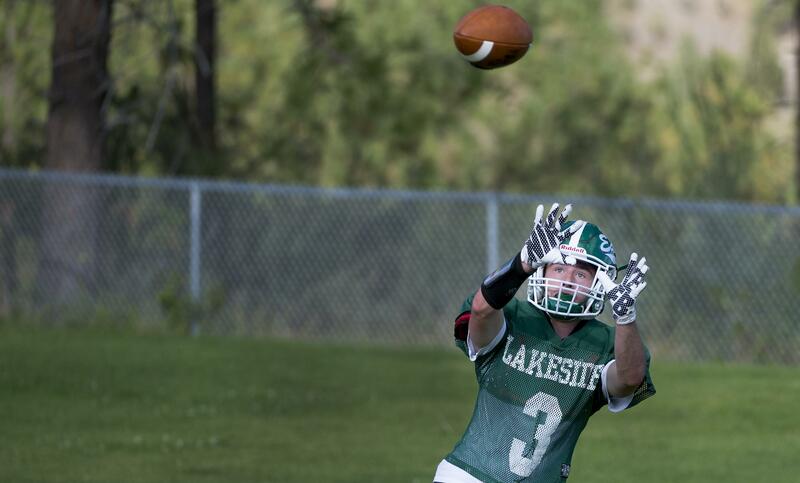 Until anyone can upend Colville, the Indians are the team to beat in Northeast A. “I think Colville is definitely the class of this league,” Deer Park coach Keith Stamps said. “Until someone is willing to go out and beat Colville, I think everyone is chasing them.” The Indians went 7-0 in league last season and made it to the quarterfinals of the State 1A playoffs, losing to eventual state champion Royal 21-7. This season, according to Colville head coach Randy Cornwell, the Indians lose much of their size and experience from last year. Adapting to a smaller, younger and more athletic team is the primary challenge for Cornwell. Senior Noah Bagley, an all-league offensive lineman last year, is being moved to fullback this season to take advantage of his speed. “None of our backs could keep up with him when we pulled,” Cornwell said. The Indians defense returns all-league linebacker Tristan Lewis, a junior, and all-league defensive back Kameron Stroebel, a senior. Cornwell hasn’t determined who will be under center, but says junior Andrew Sanchez and sophomore Ben Knight are in the hunt. The Stags’ backfield operates in harmony, which each of their feature backs completing the other. Tyson Lim, known for his speed and shiftiness, and Dean Lockwood, a physical runner who thrives between the tackles, will be at the center of Deer Park’s run-first offense this season. “We’re as talented at the skill spots as we’ve been in the last few years,” Stamps said. Senior quarterback Connor O’Dea, a first-year starter, will be tasked with guiding the Stags’ gifted offense. NEA defensive coordinators are glad they don’t have to deal with quarterback Cameron Gay anymore. “He was a generational player. He was phenomenal,” Stamps said of Gay, a three-time all-league selection who threw for over 2,400 yards last season. Eagles coach Brian Dunn has three candidates for Gay’s replacement: junior Caden Wickwire, sophomore Dillon Dennis and sophomore Kasen Hunsaker. “We’re waiting for one of them to take the job,” Dunn said. Despite the hole at quarterback, the Eagles possess leaders in two-time all-league lineman, Tim Jarrad and all-league linebacker Garrett Brown. One word to describe Freeman? Solid. The Scotties, off a 6-3 season, are projected to compete with the top of the league again. Returning starting quarterback JT Neely will manage an offense with vital weapons in running back Ben Darcy and wide receiver Desmond Parisotto. Senior Kyle Thompson, who hasn’t played football since junior high, is the Cardinals’ starting quarterback this season. Thompson came out for the team in the spring, and after the two other quarterbacks quit, he became the starter, even though Mo Owen, who is in his first year as Cardinals head coach, said he would have started him anyway. Speedster Keyhon Ross, a junior who took third in the State 1A 100-meter dash last spring, will be a dynamic weapon for the first-year signal-caller.